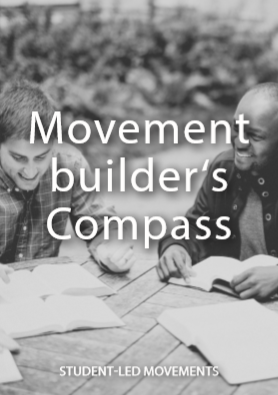 Movement Builder's Compass is designed to help start student-led movements of evangelism and discipleship in high schools, universities and friendship groups. The studies help you to become a passionate follower of Jesus Christ, to live a lifestyle that shines on those around you and to lead others to become disciples of Jesus. This booklet leads you and your group of two to seven people through central topics of discipleship with the help of key passages from scripture and practical challenges. Here is a rough draft of the Chinese version. Right now we are working on a Arabic edition. As you may know, all of the materials at our website are only possible because people like yourself invested in their development. We don't attempt to make money on our materials. Our heart is to provide an easy way for you to clearly communicate the Gospel and disciple people. It is going to cost $1,000 for the translation and layout of the manuals. These are tasks I [Bob Prouty] can not do and need to hire people to accomplish. Would you prayerfully consider a gift of $100 towards this project? Gifts of any size are welcome .